The Civitas investor relations team has helped thousands of investors and institutions from more than 30 countries around the world invest capital in the United States. Dallas, TX – February 17, 2017 – Civitas Capital Group is pleased to announce the promotion and hiring of four key investor relations executives. “We’re delighted to recognize and reward Irene and Manuel for their contributions, and are pleased to welcome Olof and Claudia to our company,” said Chief Executive Officer Daniel J. Healy. “We have a remarkable investor relations team with diverse cultural experience and thorough knowledge of the investment management industry. I believe we are well-positioned for the future.”The Civitas Capital Group family of companies provides compelling EB-5 capital and alternative investment strategies to institutional investors, family offices and qualified individuals. Irene Shen was promoted to Director, Sales and Investor Relations. In her new role, Ms. Shen is responsible for expanding Civitas’ presence in the alternative investment space in Asia, as well as coordinating the development of new products in the region. Ms. Shen has been with Civitas since August 2011. Ms. Shen received a B.S. in Electrical Engineering from Beijing University of Posts & Telecommunications. 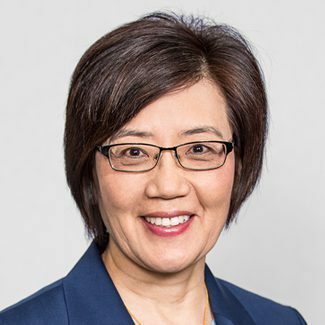 In addition, she is an Accredited Asset Management Specialist (AAMS), and holds FINRA series 7, 63 and 65 securities and investment advisory licenses. 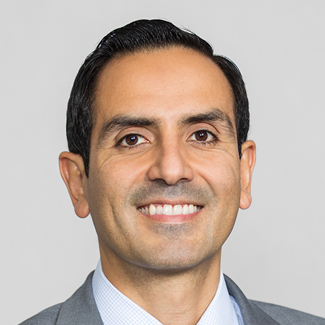 Manuel Ortiz was promoted to Head of EB-5 Sales and Investor Relations. In his new role, Mr. Ortiz is responsible for developing and managing global investor relations, and overseeing the EB-5 Capital Division investor relations team. Mr. Ortiz has been with Civitas since January 2013. Mr. Ortiz received a Bachelor of Business Administration from the University of Texas at Austin, Red McCombs School of Business, and an MBA from Southern Methodist University, Cox School of Business. Olof Akesson joined Civitas as Managing Director, Sales and Investor Relations. His responsibilities include overseeing and developing the Civitas client relations team, including investor communications. Mr. Akesson previously was Chief Operating Officer for Asia Institutional Sales at HSBC, overseeing all global markets products. Mr. Akesson received degrees in Finance and Management from the University of South Carolina, and a Master’s in Finance from the Stockholm School of Economics. He also played tennis on the ATP World Tour. Claudia Betancourt joined Civitas as Director, Capital Markets. Her responsibilities include expanding Civitas’ presence in the alternative investment products space outside of Asia, as well as coordinating the development of new products for individuals, family offices, and institutions. Previously, Ms. Betancourt was Managing Director at Commerce Street Capital (CSC), an investment banking firm. Ms. Betancourt received a B.S. in Economics from Universidad Catolica Boliviana, a M.B.A. from The University of Oklahoma, and a Masters of Science in Petroleum Economics and Management from the Institute Francaise du Petrole. For more information about Civitas, please visit www.civitascapital.com or follow us on Twitter at http://twitter.com/CivitasCG.